Lisa is a lecturer at the Greenlee School of Journalism at Iowa State University. Lisa Munger is on the faculty of the Greenlee School of Journalism and Communication, where she teaches journalism. Her own reporting has appeared in local, regional and national newspapers and magazines, such as the Huffington Post, as well as on international platforms, including Transitions magazine in the Czech Republic and Al-Jazeera English web coverage in Qatar and Egypt. After returning to the U.S., she worked as a political and business reporter, breaking a story that led to three federal indictments and convictions in a $500 million Ponzi scheme. 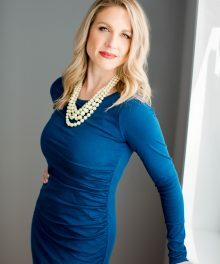 Before working as a reporter, she managed public relations for political campaigns and interest groups in the Midwest and Washington, D.C. Oakes holds a B.A. in political science from TCU and a M.A. in News-Editorial Journalism from the University of Nebraska—Lincoln. Persuasive Communication—Whether you realize it or not—the power of your non-verbal communication is sending signals to your audience. Harness these communications to send the messages you want to convey competence and confidence, even when you don’t feel 100 percent. Work on vocal tone and cadence to present your most confident presence—even if you are quaking in your boots. Both verbal and non-verbal communication are acquirable skills. Like anything else, they need practice to earn proficiency, but it can be done! Women and the Workplace—Microaggressions—a little comment here and there about a woman’s outfit or shoes, or pregnancy—may not seem like much. But, in accumulation we move into what are known as “microaggresions,” and these ways of being can make women feel lesser than and be effectively marginalized in a workplace. For women, learn what to do when this happens to you. For all, learn how to avoid what we all want to avoid and may not even know what we’re doing. In most cases, it’s safe to say, no one wants to marginalize a co-worker, but it can happen, woman to woman or some other combination. Learn and be better; make your workplace more inclusive. Navigating Millenials—This workshop works well for any audience—millennial-based, millennial-mixed, millennial-seeking, or for those of us a tad bit older than our millennial colleagues. Unearth their assumptions and learn how to be their workplace coaches/bosses/mentors. For millennials, understand what you are missing in integrating in and succeeding in your workplace—probably not run by fellow millennials. Be you, but with some professional tweaks. Crafting Your Professional Persona (for millennials/new to the workforce or their workplace mentors)—Some millennials leave college without distinguishing between their personal persona (your weekend/home self) and your workplace persona. This may lead to social media snafus, unprofessional conduct and the like, without your younger employee necessarily even knowing it. Here is the scoop for millennials or those who oversee them to help them adapt to their workplace without losing themselves. It’s you—but professional you.